Golar LNG Ltd said Oscar Spieler would replace Gary Smith as chief executive, as the natural gas shipping company realigns operations, including building up its presence in the Brazilian power generation market. The company said on Tuesday it was in talks with a private equity firm for investments in Golar Power, its unit that holds an interest in a 1.5 gigawatt power station in Sergipe, Brazil. Spieler, who was Golar LNG's chief executive between July 2009 and June 2011, was responsible for the company's first floating liquefied natural gas project. Golar LNG has signed a binding Heads of Terms with Ophir Energy Plc for the provision of the GoFLNG vessel Gimi. Golar has started discussions with partners Keppel and Black & Veatch aimed at exercising an option, under an existing framework agreement, for the ordering of a third GoFLNG unit similar to the Hilli and the Gimi. The vessel will replace the previously announced floating liquefaction storage and offloading (FLSO) that would have been supplied by Houston-based Excelerate Energy. 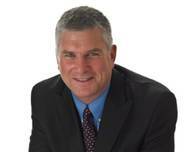 Gary Smith will take over as CEO of Golar LNG limited, taking over for Doug Arnell, who will step down on February 1, 2015. Smith brings a track record of leadership and operational management in the mid-stream oil and gas, shipping and LNG businesses. His career spans 35 years, including 25 years with Shell and Caltex Australia (a Chevron affiliate) in roles including General Manager LNG Shipping for Shell (STASCO) and General Manager Refining, Supply and Distribution for Caltex Australia. The Florida Yacht Brokers Association (FYBA) has announced its Board of Directors for 2013. Ann Vernon, FYBA Executive Director, said, “I am delighted to congratulate this winning team of highly respected yachting industry veterans on being appointed to our Board for 2013. Founded in 1987, the Florida Yacht Brokers Association has grown to become the world’s largest organization of professionals engaged in the worldwide practice of selling and buying yachts of all sizes and types. BMT Fleet Technology Ltd, a subsidiary of BMT Group Ltd, the leading international maritime design, engineering and risk management consultancy, is pleased to announce the appointment of Dr Gordon Fleming as President. A former Canadian Naval Officer, Gordon has over 30 years of experience in the aerospace and defence industry with a focus on the naval marketplace. He holds a BSc from Royal Roads Military College as well as an MSc and a PhD in Physical Oceanography from the United States Naval Post-Graduate School.